AT3 Tactical partnered with the best BCG manufacturer in the industry – Toolcraft Inc – to produce this Top-Tier Mil-Spec Bolt Carrier Group. It features a mil-spec parkerized phosphate coating, chrome-lined M16-style auto carrier & gas key, MPI/HPT inspected bolt, properly staked grade 8 gas key screws, and a lifetime warranty. 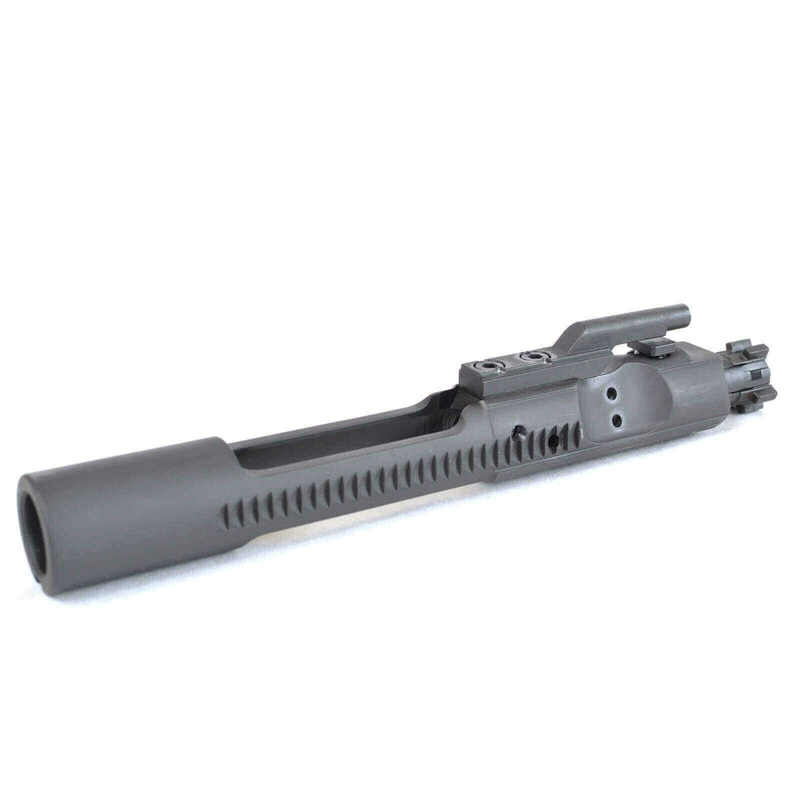 Bolt carrier looks good, but the real story will be how it function once its test fired and customer support of the product. Looking foward to getting this operational! I put this in an Aero Precision 20" AR build and it works great. No problems so far. i purchased this bcg to replace my new stock bcg because it would stick closed after a dry fire test every time. it runs flawlessly. at3 and toolcraft will be getting more of my business . im from reno so bet on it. Thank you for the feedback, Guy. We're proud of our BCGs and we're glad we could solve a problem for you. Bolt gets jammed easily Multiple times with many different types of ammo and clips made of metal and plastic. Had to use a small hammer on the driver to retract bolt. Oiled it well before using it and it appeared to move easily but when ammo placed it jammed forward and would not push bullet into chamber fully.